The day had started warm, it was spring in Memphis. The studio on 926 East Mc Lemore was already busy, the musicians setting up for the day's session. Steve Cropper (MG's guitarist/songwriter/producer) had already done his home work, and having listened to an album by Wilson Pickett (It's Too Late) he noticed the harshness in his voice. On several tracks, towards the end, he called out "Yeah, in the midnight hour". With this in mind he had partly written a song. He knew that they wanted a dance record not a ballad. He had a great baseline, the horn section was not yet right, but the Mar-Keys would see to that. The Stax House Band* were all set, all apart from Booker T Jones who wasn't there he had other commitments at College, Joe Hall would play piano. 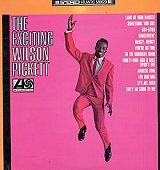 Jerry Wexler, producer from Atlantic records in New York was bringing over Wilson Pickett, a relatively new artist to Atlantic having recorded only two singles with the company in the previous year without success. Wilson had recording success with the Double L# label, where he had made three 45's, all making the charts. 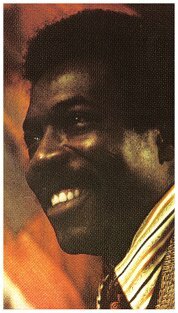 The label was owned by Lloyd Price and distributed by Liberty. His first record "If You Need Me " was in the Billboard chart for six weeks and got to No.64. The cover version by Solomon Burke reached No.37 and was issued on Atlantic, they knew the tricks of the trade and were much better at distribution. It was no surprise when Wilson went into the Atlantic offices with a demo tape in 1964 and was wooed by Wexler to sign. Wexler loved the way they recorded at Staxs, the creative talent, the professionalism of the musicians, it was inspirational. It was at this first session that the delayed beat two and four were developed. Dancing the Jerk to capture the rhythm. 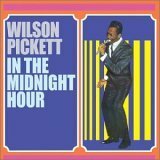 They worked on this delayed backbeat and created and produced "In The Midnight Hour" the ultimate Soul record. It was just the beginning. It was the 12th May 1965 and at this first session four tracks had been cut including "Don't Fight It". Two more sessions were to follow in September and December of that year. In all, nine tracks were recorded. More hits were to follow, "634-54789" (Soulsville, USA) and " Ninety Nine and A Half (Won't Do)". The Memphis Sound had been created, Southern Soul was born. 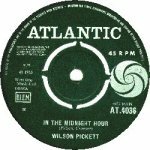 Wilson Picket had a No.1 R&B hit with "In The Midnight Hour" and massive air play across the US. In the UK it was a long hot summer. The dance floors were packed and "everybody's dancing they just can't help themselves" sang Wilson Pickett. He was not to record with the Stax House Band again. 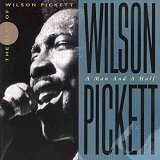 Wilson Pickett was born in Prattville, Alabama in 1941. He began singing Gospel after moving to Detroit as a teenager with the Violinaires. At the age of 18 he joined the Falcons*1. Wilson sang lead on the hit record "I Found A Love" for Lupine 103 (1962). Two other member of the group, Eddie Floyd and Mack Rice later joined Stax records as singer/song writers. 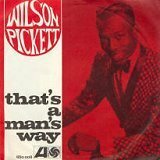 Wilson Pickett's impact on late '60s soul was monumental. He scored five No.1 hits as well as several Top 40 singles. Most of his records were recorded at the Fame Studios in Muscle Shoals, Alabama. Hits such as, "Land Of 1000 Dances", "Everybody Needs Somebody To Love", "Mustang Sally", "Funky Broadway", I'm A Midnight Mover" and "Hey Jude". He was inducted into the Rock and Roll Hall of Fame in 1991. He died from a heart attack on Thursday 19 January 2006, aged 64 years old. He is survived by his fiancée, Gail Webb, and four children, and will be buried in Louisville, Ky. 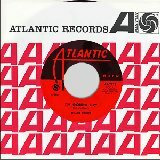 US Verve 10378 - Let Me Be Your Boy / My Heart Belongs To You 1966. This single was most likely recorded before going to Atlantic.It was issued in the UK on MGM 1286 and is probably his rarest 45.